Hendrickson Chrysler Dodge Jeep Ram near Logansport makes it a point to offer quality vehicles to drivers on any type of budget, which is why we carry a rotating selection of used cars under 10k. If you’ve been on the hunt for an incredible used car deal for some time now, look no further than the inventory at Hendrickson Chrysler Dodge Jeep Ram. 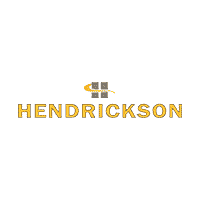 Whether you’re in the market for a used Chrysler, Dodge, Jeep, Ram or another popular brand, you’re sure to find something you love at Hendrickson Chrysler Dodge Jeep Ram. When you’ve found something you like in our inventory, contact us to schedule a test drive. Our financial specialists will help you secure a loan or lease, and you can utilize our auto payment estimator for an idea of how much your monthly payments will amount to.